Prior to operating any equipment employees shall complete the appropriate required training. 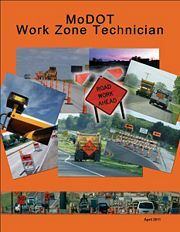 Each person whose actions affect temporary traffic control work zone safety, from the upper-level management through field workers, should receive training appropriate to the job decisions each individual is required to make. Only those individuals who are trained in proper temporary traffic control practices and have a basic understanding of the principles should supervise the selection, placement and maintenance of temporary traffic control devices used for temporary traffic control work zones and for incident management. This page was last modified on 7 June 2018, at 11:25.